Mary possesses an enegetic style and fresh perspective that has won kudos from clients now living in their dream homes. Despite fluctuating housing markets, Mary's home sales remain steady as she anticipates another solid year. "She has a knack for presenting and pricing homes," says Allied President/Broker Eric Hough, who describes Mary as very personable, professional and service oriented. And, clients all agree, consistently commenting on the masterful makeovers and personal touches she adds to homes when her design team stages them for sale. Mary is also an expert in representing sellers with residential lots. Sometimes a property's "land value" outgrows the property's "home value" and the hassle and expense of placing one's home on the MRIS MLS market is not necessary. Mary can explain all options to her clients who are interested in learning whether their property is best offered as a residential lot ( i.e. "tear down") or if their property is better suited for a traditional sale on the MRIS MLS market. She posseses years of experience in representing numerous homeowners in selling their residential lot for new construction. Mary is also exceptionally skilled in helping clients navigate the regulatory process of new home construction, which is particularly beneficial for those seeking to purchase a custom home. Mary is a true pro in sheperding clients through the often complicated and overwhelming process of tearing down and rebuilding a current house. 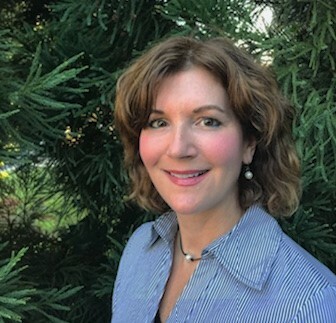 A Bethesda native with degrees in both Economics and Health Science, Mary is a knowledgable and accomplished agent who carefully takes into consideration the unique interests of each of her clients. An extraordinary multi-tasker, Mary is also married with three children, and has a growing network of friends and associates within the community. I grew up in the Wyngate neighborhood of Bethesda, Maryland. I currently reside in the adjacent neighborhood of Maplewood-Alta Vista with my husband and our three kids. My perspective as a mom and businesswoman help me to understand the unique needs of my clients. I know the value of good schools, good neighbors and a strong sense of community. I can help my clients find these qualities in seeking a new home and I can convey these intangibles to prospective buyers. Perhaps you’re interested in living near an award-winning school? Perhaps you prefer to live in close proximity to the city? Perhaps you’re looking for an older home that’s been updated...or new construction? Perhaps you want to sell your home where you’ve lived for years and you don’t know where to start? Perhaps you want to sell your rental property and reside out of state and arent sure how to navigate the sales process? I’m here to help make this process of selling, buying or building a home as easy as it can be. I promise to listen to your needs and work with you until you are fully satisfied. Trying to decide between buying an existing home, selling your residential lot or looking at new construction? I specialize in those areas and work primarily in the locations of Bethesda (Wyngate, Alta Vista, Maplewood, Glenbrook Village, Glen Echo/Cabin John), Chevy Chase, Kensington, Potomac and beyond the Beltway. My clients will attest to my personalized approach and my commitment to a job, start to finish.